The view of Table Mountain from my hotel window. 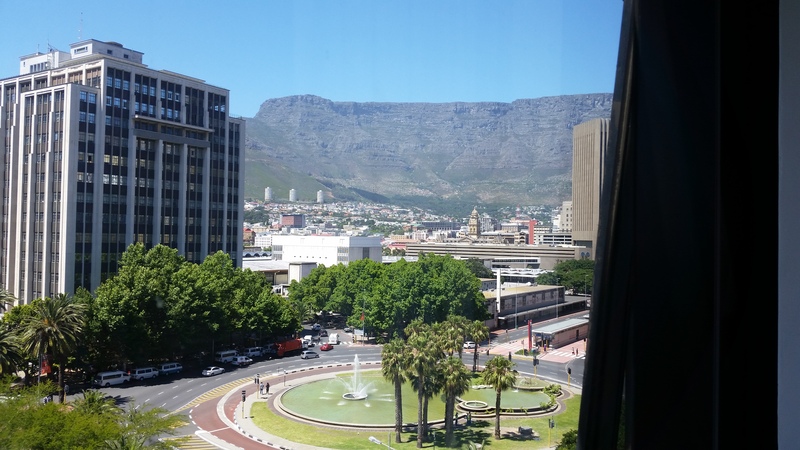 I’m writing this post from Cape Town, South Africa, one of the most beautifully situated cities in the world. I arrived yesterday, after a 34-hour home-to-hotel journey from my home outside Toronto, Canada. I’m in town to attend AfricaCom 2015. But this post is not about telecommunications or tradeshows.